Barcelona is one of my favorite destinations in the world. 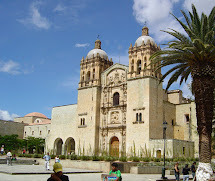 This culturally rich Mediterranean city is almost surreal. The art of Salvador Dali and Antoni Gaudi is everywhere and makes me feel like I've jumped into a page of a Dr. Seuss book set in Spain. It seems almost unimaginable to me that Gaudi's Park Guell never took off as a planned community because it offers a commanding view of the city in a beautiful setting. 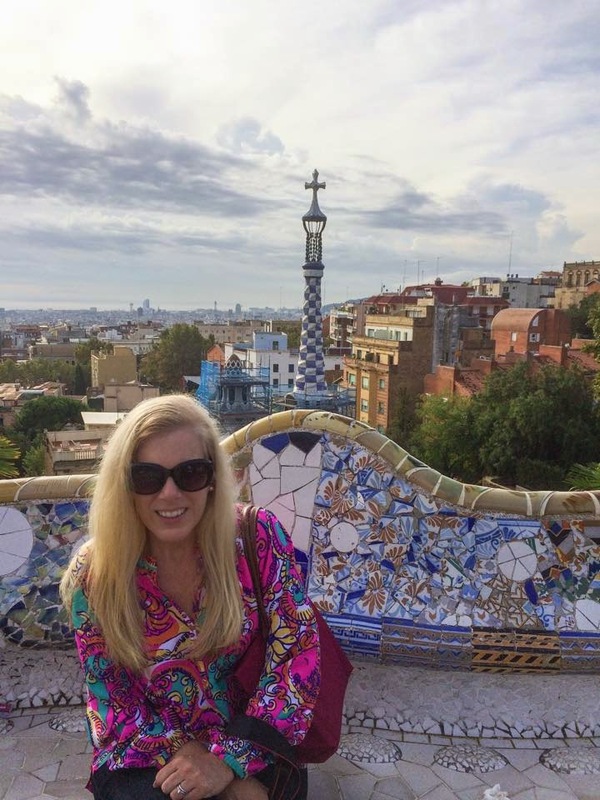 I spent so much time in Park Guell exploring all of the houses, trails, and benches. 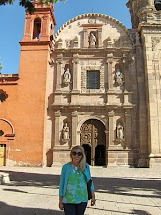 The mosaic patterns and gingerbread like houses and towers are simply amazing. With incredible architecture around every corner, Barcelona has many architectural gems. 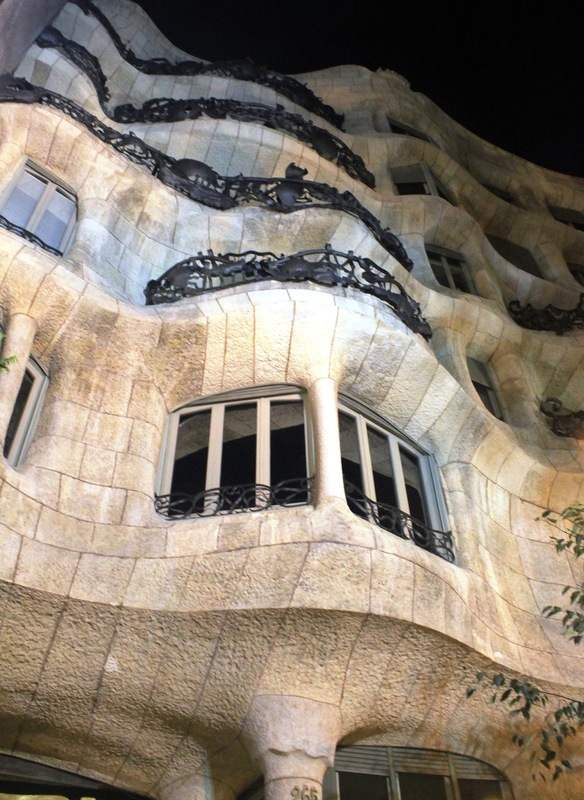 La Pedrera, designed as an office and residential building by Gaudi, is located a few blocks from our hotel. I learned that Gaudi took his inspiration from nature and preferred curving lines instead of straight ones. Shopping in Barcelona is heavenly. Conveniently, my hotel was located along the Passeig de Gracia, the Spanish equivalent of the Champs-Élysées or Fifth Avenue. 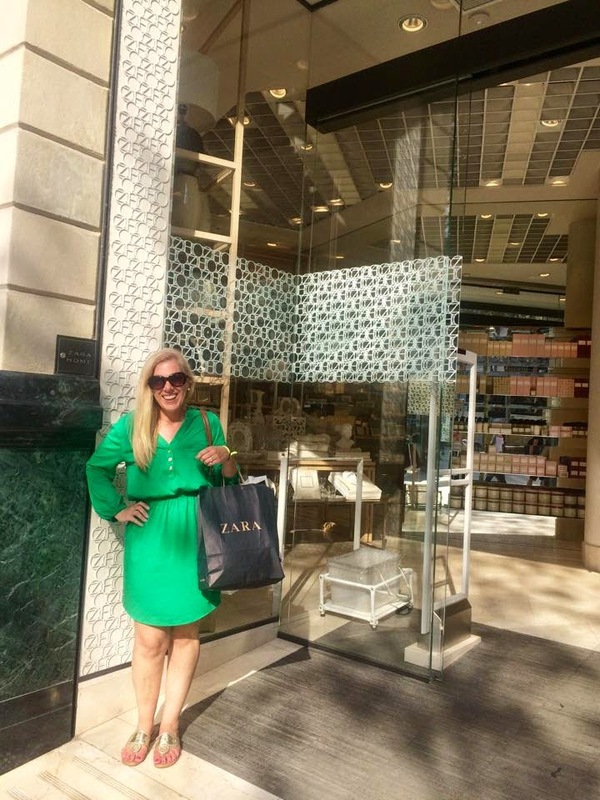 I drooled at many of the luxury store windows, but stayed in budget at some of my favorite Spanish stores like Zara, MANGO , Tous, and El Corte Inglés, Europe's largest department store group. I picked up a few fantastic pieces from the Corte Inglés house brand called Sfera. I also loved Zara Home, where I am standing in this picture. Although shopping along the Passeig de Gracia is a great way to spend the afternoon (and some money!) the most famous street in Barcelona is La Rambla. There's more shopping to be found here, too, but it's more touristy and is better suited to people watching in my opinion. My daughter Natalia was thrilled that I found a little license plate with her name on it. My daughter is actually named for a lovely Catalan woman I know named Natalia! 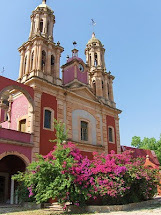 The pedestrian boulevard is lined with beautiful buildings with balconies, street vendors, restaurants, and shops. La Rambla is busy at all hours of the day and night and offers an interesting glimpse at every cross section of the population. Get a reservation at the Attic restaurant in La Rambla. With a rooftop terrace that offers some of the best views in the city and a delicious menu, this restaurant is an outstanding choice at any time of day. To say that food in Barcelona is delicious is quite an understatement. With plentiful fresh seafood, traditional Catalan recipes, and tapas, Barcelona delights any foodie. I visited La Boqueria market every day that I was there and found something new every day. Many of the food stalls will shrink wrap cured meats and cheeses so that they can be taken on the plane. 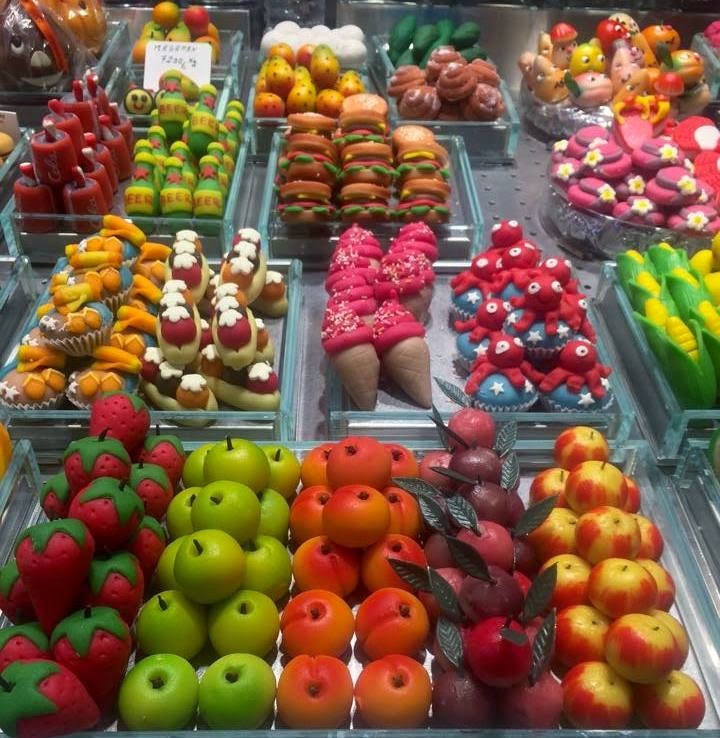 My daughters loved the intricate designs of the marzipan that I brought to them. If you go to Barcelona, you must visit Bar Clemen's located towards the back of the market. It is the best seafood that I had in Spain and is possibly the best seafood that I have ever had. I highly recommend the razor clams. I took a cooking class and learned how to make a variety of tapas. Watch for another post with some recipes and tapas tips.